Top Tumble is dedicated to providing a safe and organized learning environment. Top Tumble requires all students to be wearing their designated level leotards (girls) or level t-shirt (boys) purchased through Top Tumble. The girl athletes may wear black shorts/tight pants over their leotard if they wish. Warm clothing will be allowed during warm-ups and stretching, but will need to be removed before training begins each class. The level leotards/level t-shirts are designed to give students more excitement when increasing levels! 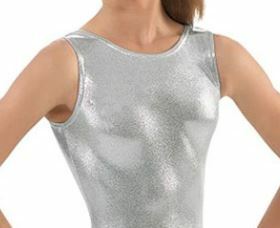 It will also provide Top Tumble athletes with attire that is safe and suitable for tumbling. Similar to karate, the color system will allow staff, parents and other athletes to know the level of each athlete. When athletes sign up, Coach Brooke will set up a time to perform the first level test. Once the level test is complete, we order your first Top Tumble attire!! There will be testing week at the end of each semester for students who are ready to increase their level.